Arrange the courgette slices on plates. 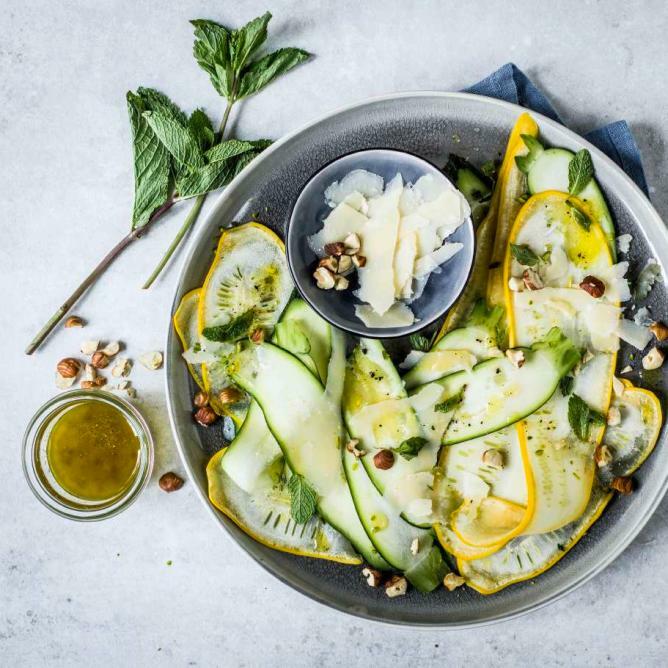 Mix the lemon zest, lemon juice, oil, salt and pepper, drizzle over the courgette slices. Sprinkle the nuts, Parmesan shavings and mint over the courgette.